Monoclonal antibodies (biologicals) are increasingly emerging as targeted therapies that block specific molecular pathways in severe asthma. Monoclonal antibodies work by binding to and blocking the function of a specific target molecule (e.g. anti-IgE or anti-interleukin-5). Monoclonal antibody treatments are also expensive. As such, patient phenotyping and targeted use of biologicals in severe asthma is critical. An individual will only respond to a particular treatment, if that specific molecule / pathway underlies their disease. For more information, see Diagnosis & Assessment – Phenotyping. Omalizumab (anti-IgE) binds to circulating IgE in the blood and tissues. It acts rapidly to block cross-linking of IgE receptors on mast cells and basophils, preventing allergic activation, and gradually down regulates IgE receptor expression on various immune cells. Further details on mechanism of action are available in (Grainge et al. 2016). Omalizumab is available in Australia for the treatment of patients with severe, allergic asthma with specific eligibility and assessment criteria. In adults and adolescents ≥12 years of age, omalizumab is indicated for the management of patients with severe allergic asthma, who are already being treated with maximal recommended asthma therapy, and who have serum IgE levels (≥ 30 IU/mL) and evidence of allergic sensitisation as measured by allergy skin tests or serum allergen-specific IgE. Omalizumab treatment reduces exacerbation rates by approximately 45% and hospitalisations by over 80% (Normansell et al. 2014). Further, reductions in ICS and OCS doses have been demonstrated. Omalizumab has also recently been approved for use in children aged 6 – 12 years with severe allergic asthma. For more information see Omalizumab Clinic Recommendations. Mepolizumab (anti-IL-5) blocks the binding of IL-5 to its receptor, reducing the production and survival of eosinophils. IL-5 is the major cytokine responsible for the growth, differentiation, recruitment, activation and survival of eosinophils. Further details on mechanism of action are available in (Grainge et al. 2016). GSK provides an overview of mechanism and an informational video on their website. Mepolizumab is approved in Australia for the treatment of severe eosinophilic asthma. Responding patients are adults and adolescents with severe asthma, who experience persistent asthma exacerbations despite optimal inhaled therapy, and with evidence of eosinophilia from blood eosinophil counts (≥300 cells/μL or ≥0.3 x 109 cells/L) or sputum eosinophilia (>3%) (Gibson et al. 2017). In clinical trials, mepolizumab treatment reduced hospitalisations by ~50% and has been demonstrated to have an oral-steroid sparing effect. For more information see Mepolizumab Clinic Recommendations. Benralizumab (anti-IL-5 receptor) blocks the effect of IL-5 on eosinophils and induces antibody-mediated cell cytotoxicity, causing eosinophil cell death. IL-5 is the major cytokine responsible for the growth and differentiation, recruitment, activation and survival of eosinophils. As a result, eosinophil numbers are reduced following benralizumab exposure. Further details on mechanism of action are available in (Grainge et al. 2016). Benralizumab is approved in Australia for the treatment of uncontrolled severe eosinophilic asthma. Responding patients are adults and adolescents with severe asthma, who experience persistent asthma exacerbations despite optimal inhaled therapy, and with evidence of eosinophilia from blood eosinophil counts (≥300 cells/μL or ≥0.3 x 109 cells/L) or sputum eosinophilia (>3%). In clinical trials, benralizumab treatment reduced hospitalisations by ~60% and has been demonstrated to have an oral-steroid sparing effect. For more information see Benralizumab Clinic Recommendations. Omalizumab, mepolizumab and benralizumab can be accessed via application to the PBS. If the application is approved, medication will be provided for 28-32 weeks. This provides clinicians with sufficient time to assess if the monoclonal antibody is effective or not. Patients should be advised that noticeable improvement in their asthma is generally not immediate, and may take a few months to become apparent. The PBS will only approve ongoing treatment if there is clear evidence of improvement. No head-to-head comparisons of omalizumab, mepolizumab and/or benralizumab have been undertaken, so it is not clear which of these biological should be used first in a person with both severe allergic and eosinophilic asthma. Concurrent urticarial and severe asthma would favour the use of omalizumab, whereas concurrent nasal polyps and severe asthma would favour the use of mepolizumab or benralizumab. Further antibody therapies are currently in trials and this is a rapidly evolving field in severe asthma management (Grainge et al. 2016). 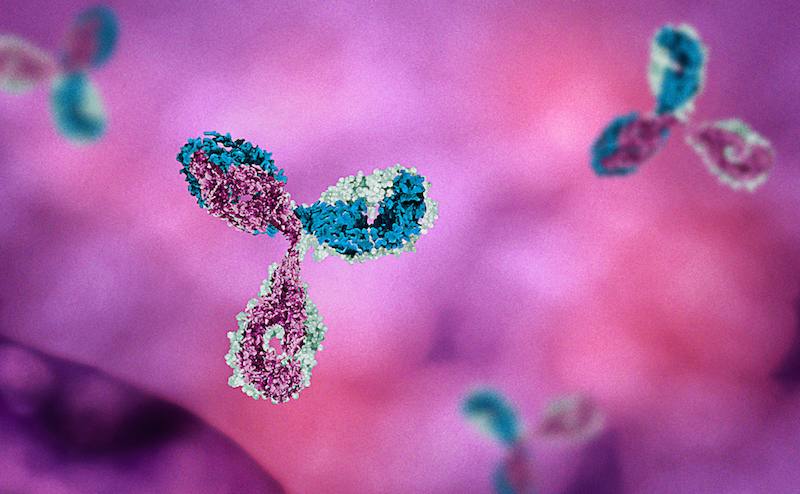 In some situations, the initiation and continued administration of monoclonal antibodies may be considered in primary care, provided specific conditions are met. This approach may be reasonable where the patient has to travel long distances to the specialist’s clinic or where no ready access to a day procedure unit or outpatient clinic is available. Access recommendations for monoclonal antibody initiation in primary care here.